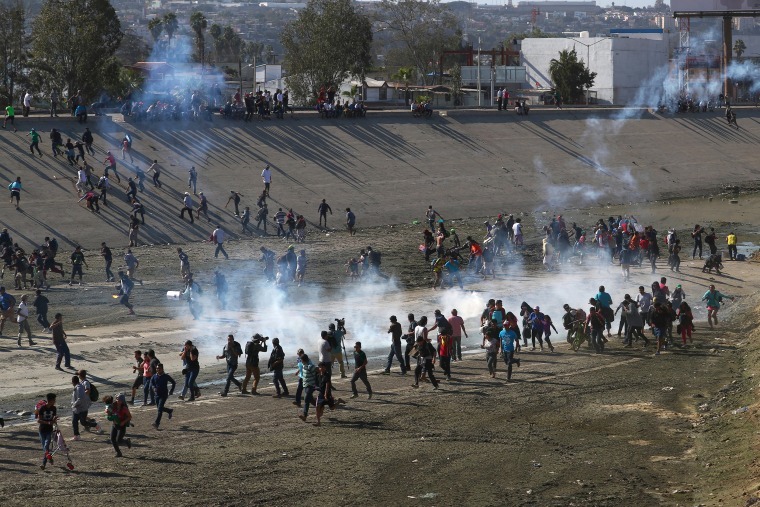 Scenes of chaos as migrants try to cross into U.S.
American authorities used tear gas on hundreds of migrants who tried to enter the United States illegally Sunday, prompting officials to shut down operations at the border crossing between Tijuana and San Diego, one of the busiest in the world. 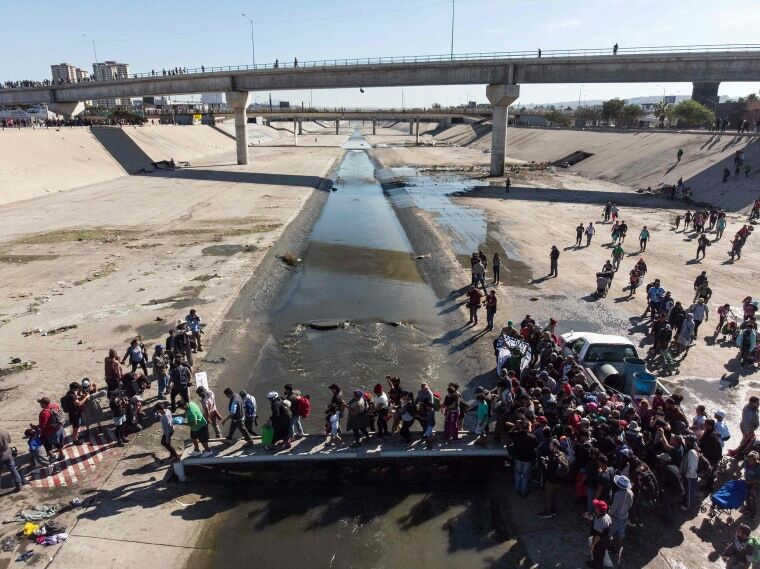 A group of Central American migrants cross the nearly dry riverbed of the Tijuana River in an attempt to get to El Chaparral port of entry, in Tijuana, Mexico, near the U.S.-Mexico border on Nov. 25, 2018. 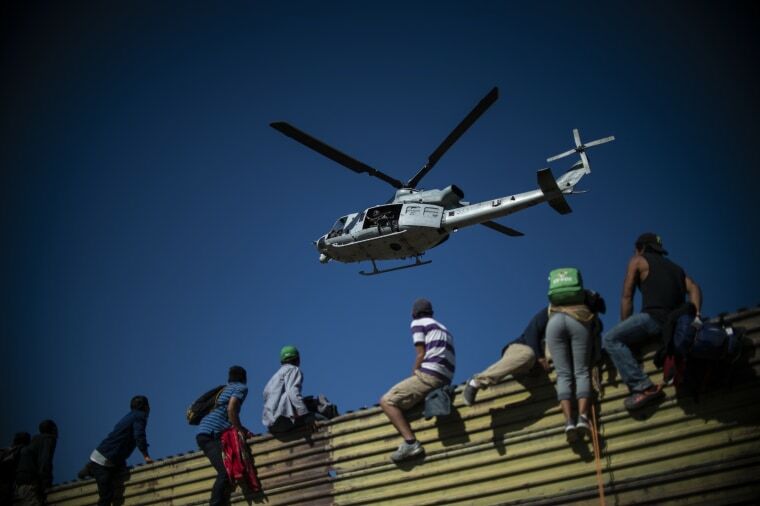 Mexican police run as they try to keep migrants from getting past El Chaparral port of entry. A migrant crosses a riverbed at the border after getting past a line of police at El Chaparral border crossing. 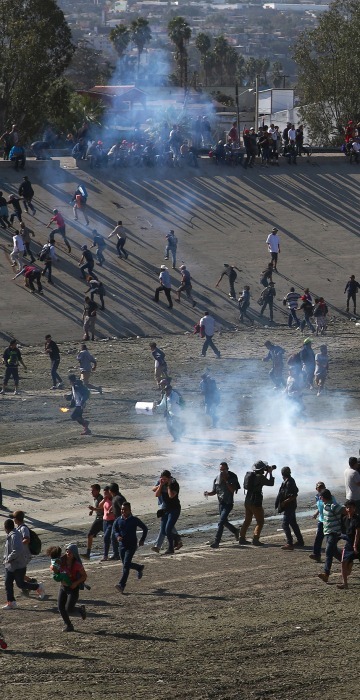 Migrants run from tear gas, thrown by the U.S border patrol, near the border fence between Mexico and the United States in Tijuana. A migrant family runs away from tear gas in front of the border wall between the U.S. and Mexico in Tijuana. Migrants climb a border fence as others try to bring it down. 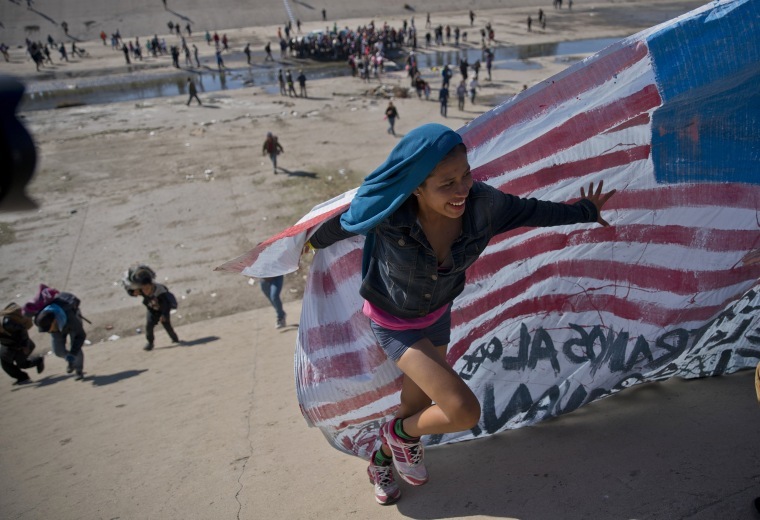 Migrants climb the border fence near El Chaparral border crossing. Mexican police officers block migrants wanting to reach the El Chaparral border crossing. 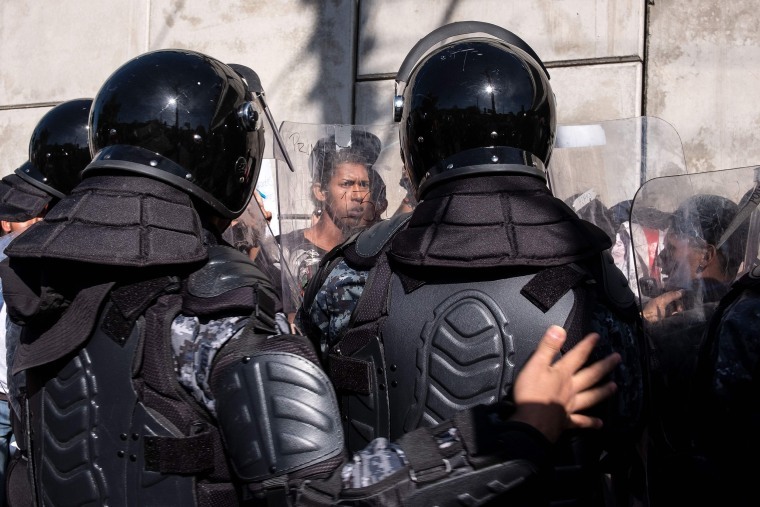 Migrants clash with Mexican police at the border. Migrants return to Mexico after being hit by tear gas. 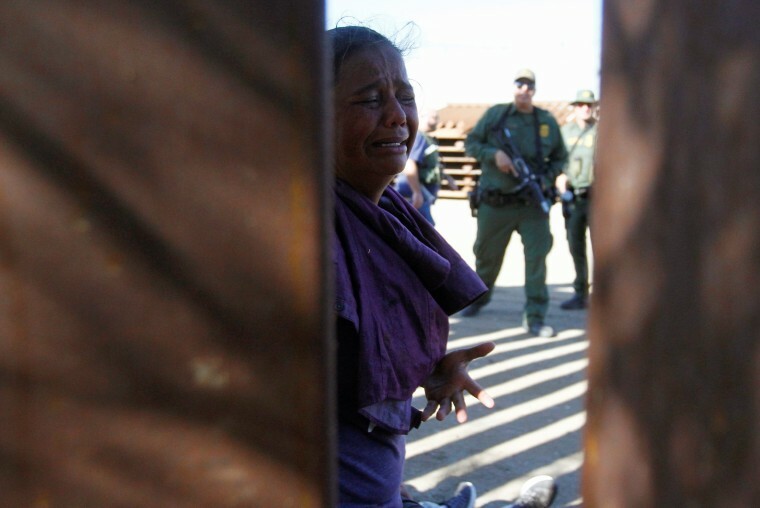 A migrant reacts as a group of U.S. border patrol officers detained her with along with others who entered the United States illegally by jumping over the border fence from Tijuana.